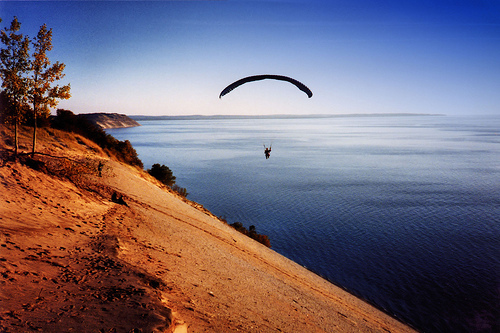 On the northwestern shore of Michigan's Lower Peninsula, in Leelanau and Benzie Counties, lies the Sleeping Bear Dunes National Lakeshore. The Sleeping Bear is an area unlike any other, over 50,000 acres along Lake Michigan replete with hills and forests of birch, pine, beech and maple. The Lakeshore encompasses numerous small lakes and rivers (perfect for fishing), sugar sand beaches and, of course, the massive coastal sand dunes and bluffs. 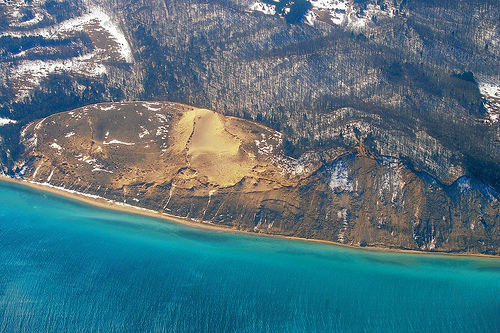 Offshore in Lake Michigan lie the North and South Manitou Islands, the areas of first Leelanau County settlement and wholly a part of the Lakeshore. Fossils tell of some of the earliest history, when a shallow warm sea covered the area. 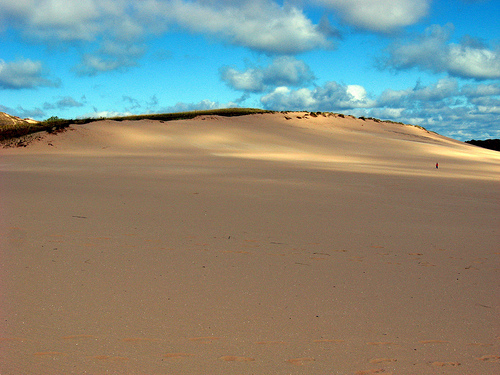 The Dune Climb at the Sleeping Bear Dunes National Lakeshore is perhaps the best known natural feature in Michigan.You will find a wide variety of activities for every age available to you at the Lakeshore. Climb the Dunes, swim at one of the many beaches, or take a hike through the Maple/Beech forest to some beautiful overlooks. Maybe you will want to spend some time in the museums or tour Port Oneida to learn about the rich history and culture of the area. 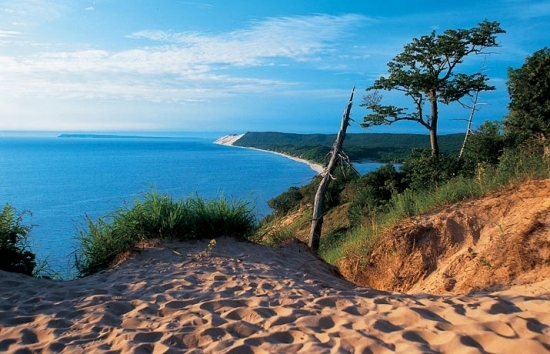 Good Morning America has named the Sleeping Bear Dunes National Lakeshore as their Most Beautiful Place in America!